Part 1 of a speech delivered by John Stonestreet at our Major Speakers Dinner in Greenville. John Stonestreet, President of The Colson Center for Christian Worldview, discusses how culture influences everything, including the Church, and what we as Christians are saved for. JOHN RUSTIN: This is Family Policy Matters, a weekly radio show and podcast of the North Carolina Family Policy Council that’s designed to better inform listeners about the critical issues of the day, and encourage you to be voices of persuasion for family values in your communities. Today, we bring you Part One of a speech delivered by John Stonestreet at our annual Major Speakers Series event in Greenville, North Carolina, on March 11, 2019. 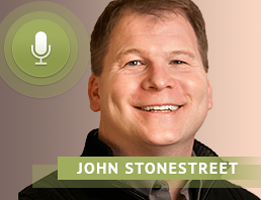 John Stonestreet is President of the Colson Center for Christian Worldview and the host of BreakPoint radio, the nationally syndicated commentary on faith and culture. We hope you enjoy this week’s program. JOHN STONESTREET: The Colson Center is one of the two legacy organizations of Chuck Colson. In fact, I remember I had the privilege of traveling and speaking with Chuck the last three to four years of his life, and he would talk about how, when he was in prison—there were 200,000 people in prison and today and this would’ve been 2010-2012 and there are 2.2 million. And that led Chuck to go, what we call, upstream from the prisons. And that led him to ask two questions. See, what he understood was that prison was downstream from the culture. In other words, if the brokenness was filling up the prisons, it was coming from a brokenness that was happening in the culture. And so that was the first question he had: “What was breaking in the culture? Where was the brokenness?” But he realized that what was breaking in the culture was much more fundamental than just the lack of money and just education. It was the brokenness in the family, it was the devaluing of life, it was the consistent ostracization of religion in the public square, and that this was leading to a brokenness that was filling the prisons. And then he wanted to ask the second question. See, Chuck was a student of history, especially church history, and he had some heroes, guys like William Wilberforce. You ever heard of that guy? Wilberforce said that God had set before him two great aims: the abolition of the slave trade—and he actually led Britain away from slavery; But the second thing was the reformation of manners. Now, he wasn’t talking about table manners. You know that everyone had their elbows on the table at dinner? No, he meant the reformation of virtue. This was the world that Wilberforce worked in and he saw his culture spiral basically from the pit and come back to life. And so what Chuck wanted to know, not only was what was breaking in the culture that was leading to the brokenness that he was seeing filling the prisons, but also, here’s the second question: “Where was the church?” You see, Chuck understood something that’s very, very important for us to understand: God doesn’t call the church to run away from the brokenness in culture. God calls his people to run into the brokenness of culture with the message truth and the message of hope. Amen. This is what God calls the church to do. Now we’ve got to be honest, the church and the culture right now are missing each other pretty dramatically. Is that fair enough? I’ll tell you a story that illustrates this. I live in Colorado Springs. I’ve been there since 2007. The first year that I was there, there was a pastor of a very large church in that town that had a big moral failure and it made national and international news. Well, the next pastor came into this church, the biggest church in Colorado Springs, and said that his goal was to get that church out of the media spotlight, which he was able to do, but only for a few months. Then something happened on a Sunday morning that was just dreadful. In fact, I’d only been there about a month and my wife and I were driving around town looking for a church that we were going to visit, had the radio on in the minivan, and suddenly there’s an announcement that comes across the radio, “There’s been a shooting at New Life Church.” What happened was there was a 20-something, a young man, who had been kicked out of a YWAM (Youth With A Mission) group. He drove up to a YWAM base just outside of Denver, if you know that group, knocked on the door. Two people came to the door, he shot and killed them in the middle of the night. Then he loaded up with ammunition and drove to New Life Church, the biggest church in Colorado Springs, and as the church was letting out of it’s 11 o’clock service, he opened fire. He killed two people in the parking lot, then, went to the front door of the church where everybody was coming out and shot two more people. But a security guard who said that she’d heard from the Lord that morning that she was going to see some action, shot and killed him right there in the doorway of the church. Now, I’m listening to the news reports come through. I had just moved to Colorado Springs about a month earlier, and so they’re trying to report on this. Of course, if you’ve ever heard news reports in the early minutes after a shooting, there’s chaos. People don’t know if there’s one shooter or two, if it’s over, whatever, so it’s just chaos. 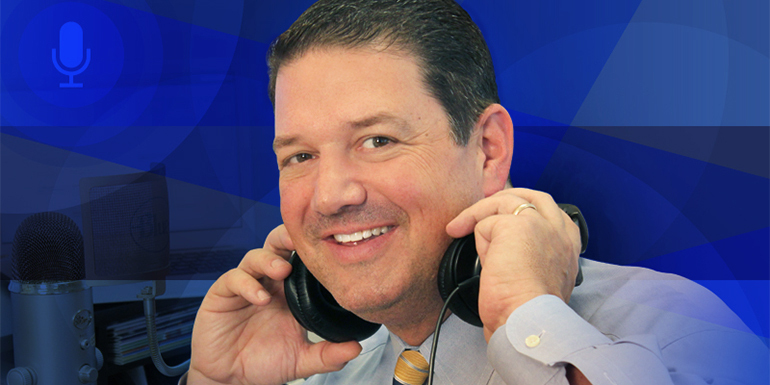 But suddenly, the news on the radio station that I’m listening to, the news reporter says: I have somebody on the phone that saw some of the shooting take place. And the news reporter’s trying to get information from the guy, and so she asked him a question, she said: Was mass still going on when the shooting took place?” And he said, “Huh,” and she said, “Was mass still going on when the shooting took place?” And he said, “Huh.” She said, “Was mass still going on?” I promise this went back and forth eight times. This shooting took place at the largest Evangelical church in town—everybody knows it. This woman is a news reporter in Colorado Springs, and as a news reporter she didn’t know—being in, I mean, we joke that we live in Colorado Springs, in the Mecca of Evangelicalism, you know what I mean? Like, if you’re going to be a real Evangelical, you have to take a pilgrimage once in your life to our town. This woman is a news reporter in our town, she doesn’t know enough about Christianity to know that Evangelicals don’t have mass. This guy didn’t know enough about it to even know what mass was, and there was just this ridiculous exchange. And really when it comes to the church and the culture, we find ourselves in this kind of place where we mutually misunderstand each other. Now there are lots of ways we could point our fingers to the culture and say: Don’t do this, don’t do that. So I’m tempted—trust me, I’m really tempted—to talk about how the culture misunderstands us as Christians. But let’s be clear, I don’t want to talk about that. I want to talk about how we as the church should properly understand the culture. And I think a lot of times as Christians, we kind of look at culture and we don’t ask the right questions about culture. And so I’m going to give you a question that I want us to ask when it comes to how we think about living in this cultural moment that we find ourselves: “What is our salvation for?” If you are around the church like I am my whole life, we talk a lot about what our salvation is from: It’s from sin; it’s from death; it’s from hell; it’s from the wrath of God. And if that’s all there was to salvation, what we’re saved from, you still better take that deal because that’s the best deal you’ll be offered. But praise God, that’s not it! We’re also told in the Bible a whole lot of things that were saved to: We’re saved to eternal life; we’re saved to life more abundant. I used to think—because sometimes I got the impression—that being a Christian was being saved from hell and being saved to go to heaven. And I thought: Well, if that’s the whole point, why doesn’t God just take us to heaven the moment that we’re saved? If he did that, then I wouldn’t have to worry about sin. I wouldn’t have to worry about that guy that makes me sin. But here’s the answer. The answer is found in the middle of the high priestly prayer that Jesus prayed before He went to the cross. You can find it in John Chapter 17. In the middle of the prayer, here’s one of the things that He prays, He says: “Father, do not take them out of the world but protect them from the evil one.” Boy, that was something when I realized the answer to my question “Why doesn’t God just take us to heaven the moment that we’re saved” is it’s Jesus’ fault. He prayed against it! Somehow he wants us in this world. Everything else that Jesus prays serves that ultimate purpose that we would know Him, and by knowing Him we would have eternal life, and by having eternal life we would glorify the Son, which would glorify God, which is the whole purpose of the entire universe anyway. That somehow, us being here in this world protected from the evil one serves the ultimate purposes that God had for his people from the beginning of time. That’s why the question isn’t just: “What are we saved to” or “What are we saved from,” it’s also: “What are we saved for? Why are we here?” Well, let me just say this: We’re not saved for escape. There are escapist religions. If you want an escapist religion, there’s a lot on offer for you, for example, Buddhism is an escapist religion. I’m not being disparaging to Buddhist. This is actually the point of Buddhism is to escape mentally in a place of contentment and when you escape into that place of contentment, then you can eliminate suffering from your life. That’s the whole point of Buddhism is a mental escape. Oprahism is an escapist religion. Now, that’s just my name for all the kind of the happy clappy sort of thing that passes for a religious experience in America, which is: Religion is to make you feel better. It’s to make you happy and it’s to make you ignore all the bad stuff and focus on all the good stuff. And if you do that, then the universe will listen to you and reward you with really good things, like good parking spots at Christmas, things like that. So, there are escapist religions. I’m just saying, Christianity’s not an escapist religion. Christianity is not an escapist religion because at the center of Christianity is the God who became flesh and dwelt among us. The sort of religion Christianity is reveals to us the trajectory of God to His world, right? John 1:1 “In the beginning was the word and the word was with God and the word was God.” Jump to verse 14 and what does it say? “And the word became flesh…” and that’s not just a proof text. John’s trying to unlock how God has revealed himself in the world. And if you start at Genesis and go all the way to the maps, here’s what you’ll see. You’ll see from the beginning to the end that what God does is He—instead of trying to pull His people out of trouble—He comes and walks with them through the world. He walks with Adam and Eve in the cool of the day. He comes and deals with Kane. He walks with Enoch. He comes and deals personally with Noah. He comes and He walks with the Israelites out of Egypt as a pillar of fire and a pillar of cloud. We know He really comes down in Jesus Christ, right? That’s what Paul says, that the fullness of the Godhead was revealed in bodily form. But even Jesus, when He said: It’s good that I go away because if I go away, I will send you the Holy Spirit…. So God comes down again. Do you see what happens? God comes down, God comes down, God comes down. The only time, by the way, that God stops coming down is in the new heavens and new earth, because it tells us He moves. He says: He makes His dwelling among men. If that’s what our entire faith is revealed as centered around Jesus Christ, and He’s not trying to escape, our posture should be His posture. We follow that example, so Christianity’s not escape, were not saved for escape. I’ve got to be honest: For a lot of Christians these days, that’s an idol of our generation. It’s an idol that we see in the larger culture. It’s kind of typified by a Time Magazine cover a couple of years ago with the little kid that was bubble-wrapped. But this is one of the things that we see in the church too. I’m convinced that one of the idols of our generation is the idol of safety. God doesn’t call His followers to safety. He calls them to life. He calls them to eternal life that’s more abundant, but not to safety. We’re not saved for escape. Let me also say this—and I need to be really clear—we’re not saved to accommodate the spirit of the age. Jesus Christ did not come and die on the cross for the sins of the world, only to have the Church say that some things are no longer sins because we’re now smarter or more enlightened or in the 21st century. I’m telling you, the church does this and sometimes the church does this out of good intentions, like we don’t want to be unnecessarily offensive yet. Don’t be unnecessarily offensive, but don’t pretend like the Scripture is no longer clear. I’ll say this, […] even if it’s well-intended, it’s cruel because the cruelest thing you can say to a world that’s not okay, is that they are. It’s cruel. Right now we have folks that say: Well, if you don’t get on [board], especially in the area of sexuality, if you don’t change your mind on this, you’re going to be on the wrong side of history. Let me just say two things. Number one, there’s no such thing as the wrong side of history. People who pretend to know where history is going are just arrogant because we don’t know where history is going. There were a whole lot of things that seemed inevitable historically that then weren’t. We don’t know where history is going, so let’s not concerned ourselves with being on the right side of history. Let’s concern ourselves with being on the right side of right. And here’s the other thing, if we say that somehow God’s morality gets in the way of God’s Gospel, that’s a devil’s bargain. As my friend Owen Strand says: “That’s a devil’s bargain.” God’s morality makes us realize our need for God’s Gospel. One of the worst things the church can do in this generation to advance the gospel, one of the worst things we can do to advance the Gospel is to now somehow compromise on the clear moral instruction that God gives in the Word, that’s based on how He created us as human beings. This can’t be up in the air. This is part one of a two-part message from John Stonestreet, delivered at NC Family’s Major Speakers Dinner in Greenville, NC.